ForexNewsNow-Popular forex broker AvaTrade announced the launch of a brand new service portfolio that will permit forex traders to trade forex options as well. The new feature will permit traders to try out forex binary options too without having to register at a separate binary options broker. The new binary options trading platform implemented by the company is as elegant and stylish as its main forex trading platform. The interface contains all the relevant information a trader needs to know such as investment amount, reward profile, risk profile, selected asset and much more. The platform also includes a strategy optimizer that will allow traders to increase their ratio of successful trades considerably. The risk manager tool will permit traders to evaluate the potential losses they might incur on unsuccessful trading contracts. The platform also offers historical charts for the past movement of the assets provided. These charts permit traders to analyze the past movement of the forex pairs available to trade on for the purpose of being able to better predict the future movement of these assets. Experienced forex traders will now have the possibility to generate substantial revenues by predicting the movement of certain forex currency pairs. Since this is also how these traders generate money in regular forex trading, generating money though forex options trading will be extremely easy for them. Contrary to the services offered by traditional binary options brokers, the new forex options services provided by AvaTrade were designed having the professional forex trader in mind rather than the average retail binary options client. As such, the expiry times offered by the broker are much longer than the ones offered by traditional binary brokers. AvaTrade is one of the oldest and most successful forex brokers on the market. Not so long ago, the broker was known under the name of AvaFX. The name change took place to reflect the company’s new brand and image that included the introduction of a number of services other than classic forex trading, such as the new forex options implemented. The company offers forex trading services on a number of professional platforms. 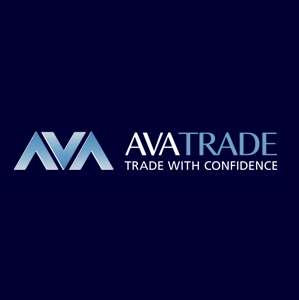 The most important platform of this kind is the Ava Trader proprietary trading platform. This platform offers trading possibilities in more than 60 forex currency pairs and comes with a very large number of feature and tools. This platform is complemented by the classic MetaTrader 4 platform as well as a web-based trading platform and a platform that was specially developed for Mac computers. Mobile traders will have the possibility to trade forex from their mobile devices as well on the mobile trader platform offered by the company. The company also offers an attractive promotion to newly registered and depositing traders. If a new trader deposits at least $200, then he or she will get a free bonus of $100. A deposit of $500 gets a bonus of $250. A deposit of $2,000 is rewarded with an iPad Mini or a bonus of $500. A $5,000 deposit receives a free iPad Mini and $500. Finally a deposit of over $10,000 gets a free iPad Mini and a bonus of $1,000.